Of course, it’s very important to get a good balance in your home between being eco-friendly and making it a fun and pleasant space for family life to happen in. So to that end, here is a quick and simple guide on how to both ensure that your home is not putting too much of a strain on the environment, and is a comfortable haven for your family. One aspect of a family eco-house that you need to be on top of the insulation that you use. Why? Well because not only does it keep your kids warm in the winter and cold in the summer, but it also vastly reduces your heating and cooling bills as well. This is because good insulation means it’s harder for the temperature in the air to be transferred out of the building, whether it’s hot or cold. 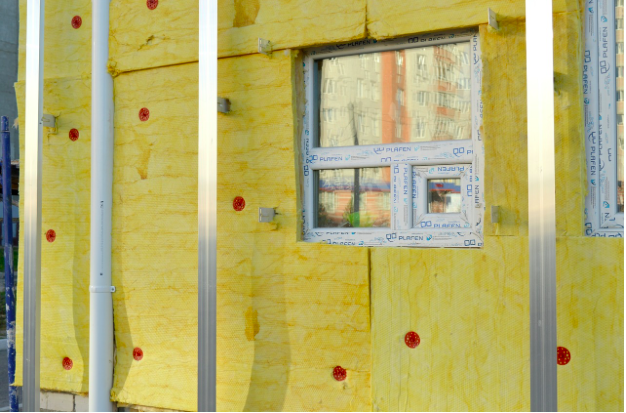 You can insulate your home with spray foam, or fiber insulation. But an even more eco friendly method is to use insulative substances that are made from recycled glass. With the added benefit that these tend to be hypoallergenic as well. Obviously, recycling is a vital aspect of being green these days. But how can you make sure that you take every opportunity to do this in your home, while making it safe and pleasant for the kids? Well first of all it can really help to have a designated recycling zone. Whether that is in the kitchen, utility room, or even outside. Then you know all of the waste is kept together one place and not taking over the house. Secondly, it really can be beneficial to talk to the kids about why, and how to recycle and the dangers that it could pose to them. Such as cut from tin lids, or cross contamination of bacteria from raw meat packages that haven’t been washed properly. Then they can get involved and help you to keep on top of this task too. Another important aspect of a fun, family friendly home is using power that is generated at cleanly as possible. Of course, you could always hook up the kids’ biked to the generator! But a more practical option would be to insist on solar panels from your home builders, when constructing a new new property, or install them yourself in your current home. These then convert energy from the sun rays into usable electricity, meaning you can powder alo of the facility that you need without having to result electricity that gha been created by fossil fuels. Lastly an arae of the home that can be both eco gr finely and fun is the garden. Here you can teach kids all about where the food comes from, and how to grow their own produce. Try easie thing at first like tomatoes, and carrots and then move on to more difficult project like peas and potato when they have gained some confidence. You can also teach them about healthy eating and organic gardening and provide items for your family meals, all while making a minimal impact on the environment.